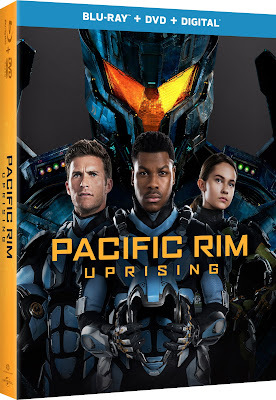 Ten years after the events of the first film, the Kaiju return in "Pacific Rim Uprising" with a new deadly threat that reignites the conflict between these otherworldly monsters of mass destruction and Jaegers, the human-piloted super-machines that were built to vanquish them. 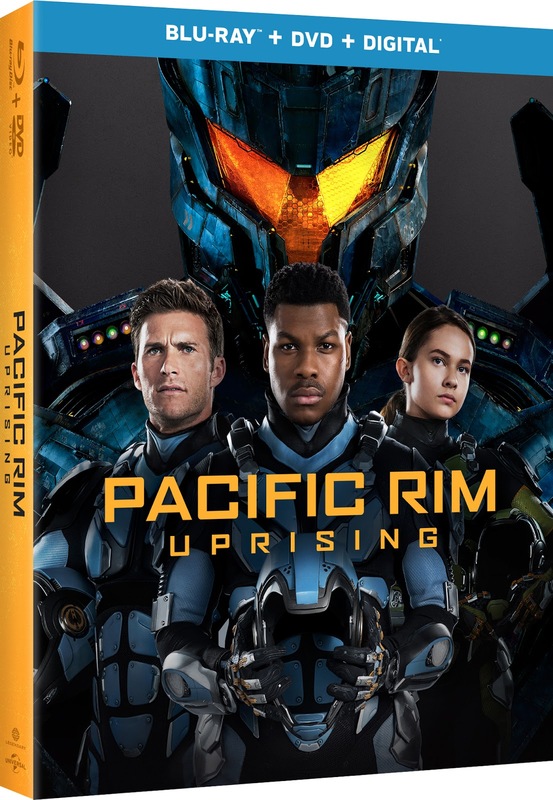 "Pacific Rim Uprising" arrives on Digital and the all-new digital movie app MOVIES ANYWHERE on June 5, as well as on 4K Ultra HD, 3D Blu-rayTM, Blu-rayTM, DVD and On Demand on June 19 from Universal Pictures Home Entertainment. Building on the striking visual world created in the first film, "Pacific Rim Uprising" features a next-generation battleground complete with upgraded Jaegers and new Kaiju that offers a captivating a state-of-the-art spectacle perfect for your next night in. Experience one-of-a-kind special effects and more than forty minutes of bonus content when you own the next installment on 4K Ultra HD, 3D Blu-rayTM, Blu-rayTM and DVD. In "Pacific Rim Uprising" directed by Steven S. DeKnight, John Boyega (Star Wars: The Force Awakens) stars as the rebellious Jake Pentecost, a once-promising Jaeger pilot whose legendary father gave his life to secure humanity’s victory against the monstrous Kaiju. Jake has since abandoned his training only to become caught up in a criminal underworld. 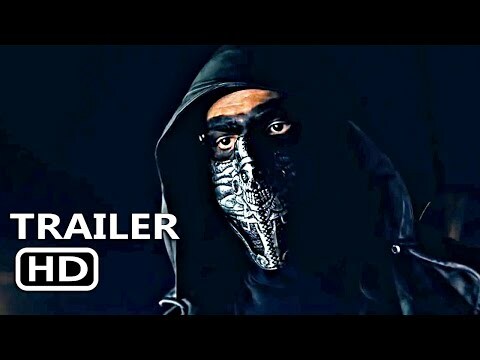 Jake is joined by gifted rival pilot Lambert (The Fate of the Furious’ Scott Eastwood), 15-year-old Jaeger hacker Amara (newcomer Cailee Spaeny), returning veterans Charlie Day (“It's Always Sunny in Philadelphia”), Rinko Kikuchi (Pacific Rim), Burn Gorman (The Dark Knight Rises) and a talented crew of fiercely young cadets. The international cast also includes Tian Jing (Kong: Skull Island) and Adria Arjona (“Emerald City”). Rising up to become the most powerful defense force to ever walk the earth, they set course for a spectacular all-new adventure on a towering scale. Hall of Heroes - John Boyega takes us through the awesome weaponry and cutting-edge enhancements of the latest generation of Jaegers featured in the film. Bridge to Uprising - The cast and crew discuss how the world of Pacific Rim has changed in the ten years since the events of the original film. Becoming Cadets - Step into the Shatterdome, and learn the grueling physical and mental preparation required of the young actors who portrayed the PPDC cadets. Unexpected Villain - Learn the secret reason that turned one of the most beloved heroes of the original film into a villain obsessed with humanity’s destruction. Next Level Jaegers - The cast and crew discuss the amazing technological advances of the Jaeger program in the years since the events of the original film. I Am Scrapper - Actress Cailee Spaeny shares the backstory of Scrapper, Amara’s incredible self-built Jaeger and its many unique abilities. Going Mega - Filmmakers take us through the technical and creative challenges of creating the most deadly threat the Pan Pacific Defense Corp has ever faced: the Mega Kaiju! Secrets of Shao - Meet the woman behind Shao Industries. Actress Tian Jing shares her insights on the enigmatic tech tycoon Liwen Shao. Mako Returns - Actress Rinko Kikuchi and director Steven S. DeKnight explain the significance of Mako Mori’s return and her importance to the events of Pacific Rim Uprising.